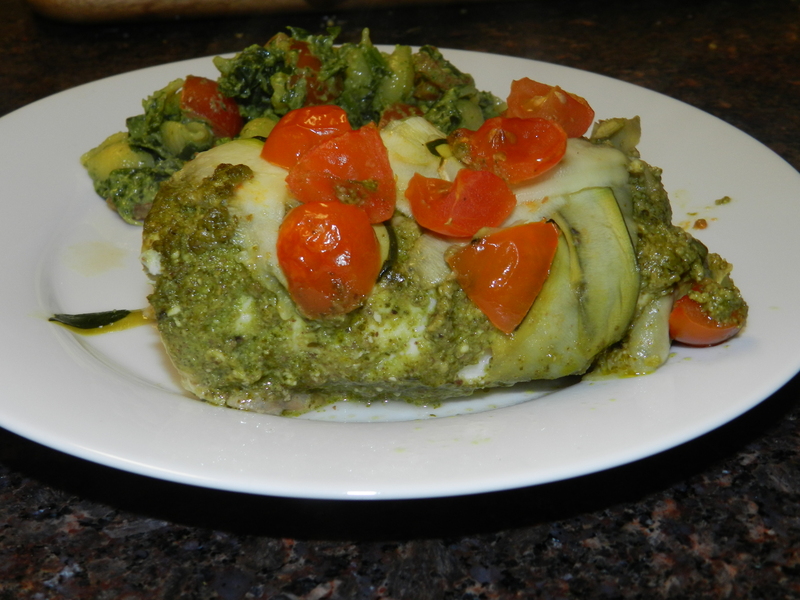 Looking for a heart healthy dinner that is equally as tasty? Well, look no further. The other night I had a fresh piece of halibut that I wanted to cook, but didn’t know what to season it with. Sometimes I struggle with knowing what to put on halibut. For me, coming up with seasonings and variations for salmon is so much easier. So I looked on pinterest for some inspiration. I saw a recipe for pesto tilapia and decided to give it a whirl with Halibut. You will love the flavors in this homemade pesto and want to put it on everything! 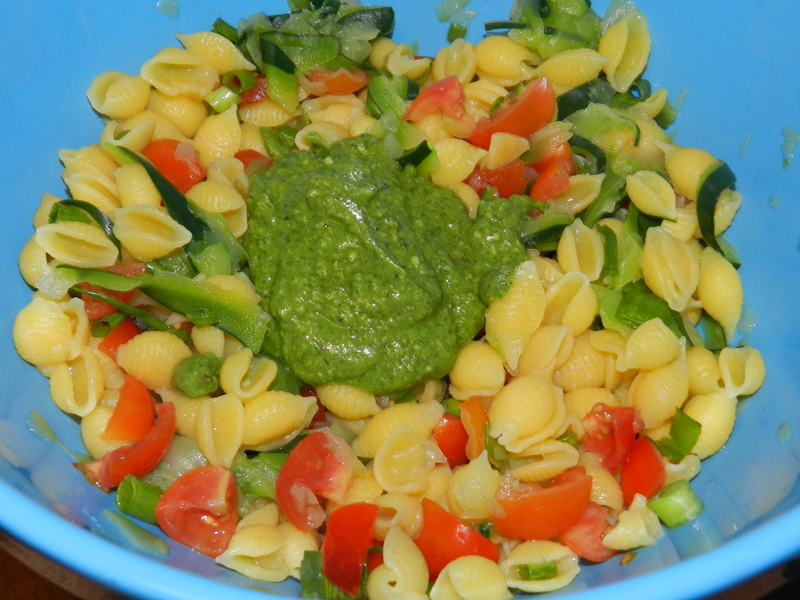 I loved it so much that I put it in a gluten free pasta salad too! This pesto recipe is not your traditional pesto, as I use walnuts instead of pine nuts and added cilantro. If you don’t like cilantro you can just leave it out. Pesto is typically high in calories, but I don’t feel guilty about this homemade version that has detoxifying properties from the cilantro and healthy fat from the walnuts. 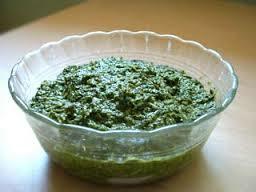 Make this pesto ahead of time and use it for a fish marinade, chicken marinade, pasta sauce, or sandwich spread. The possibilities are endless! Add all ingredients to your vitamix or belnder and blend. 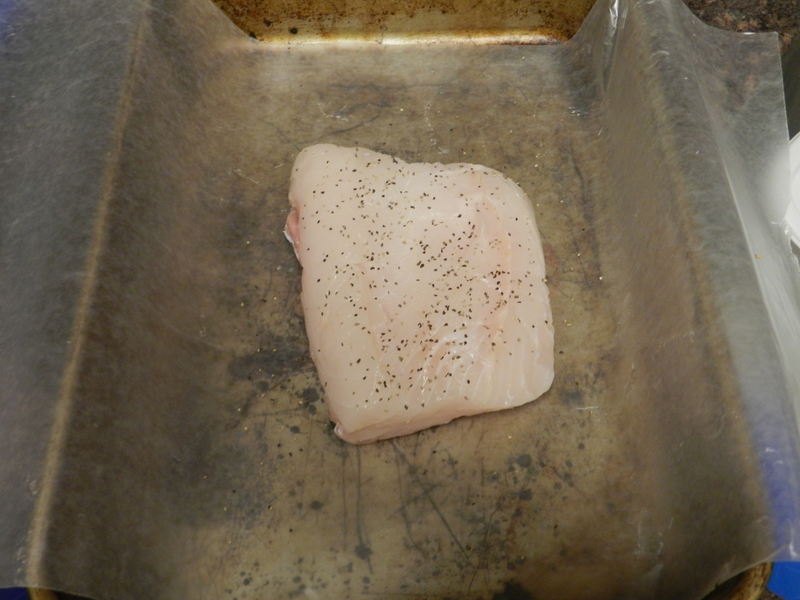 Season halibut with pepper and place on a piece of parchment paper. 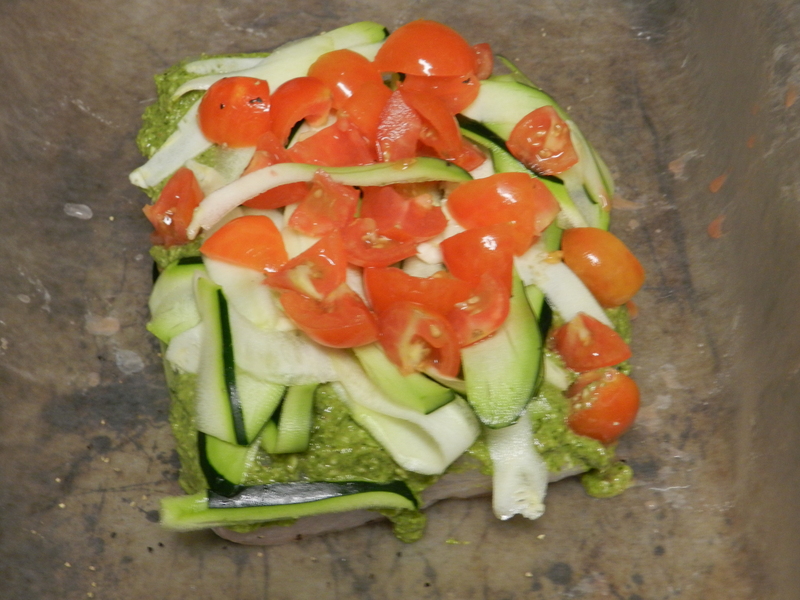 Spoon pesto on top of halibut and spread to cover the whole fish. I probably used about 1/4 cup, maybe a little more. Add chopped cherry tomatoes to cover the top of the halibut. Then add zucchini ribbons. 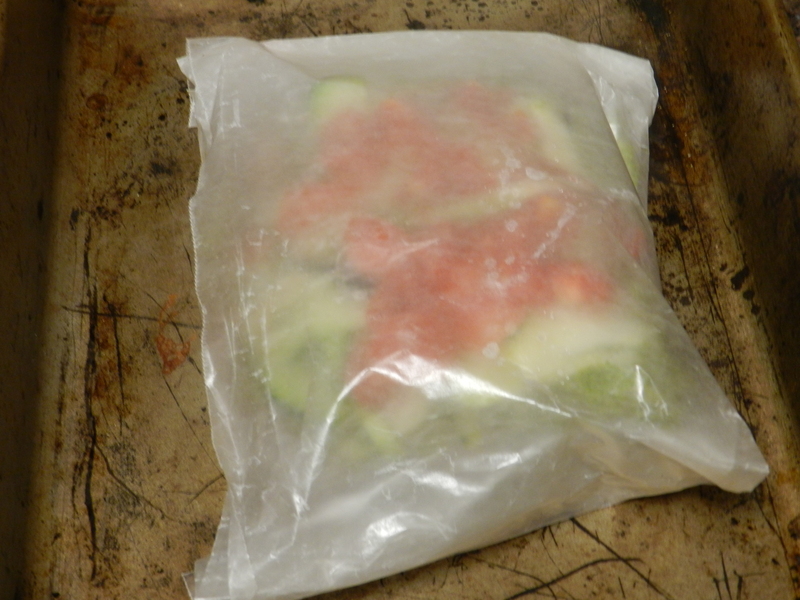 To ribbon the zucchini use a peeler and stop when you get to the seeds. Finally, fold parchment paper and enclose the fish. Cook for 15-20 minutes. The parchment paper should begin to brown. As I said above, I loved this pesto so much that I made a side of quinoa gluten free pasta, using the same ingredients as I did with the fish. 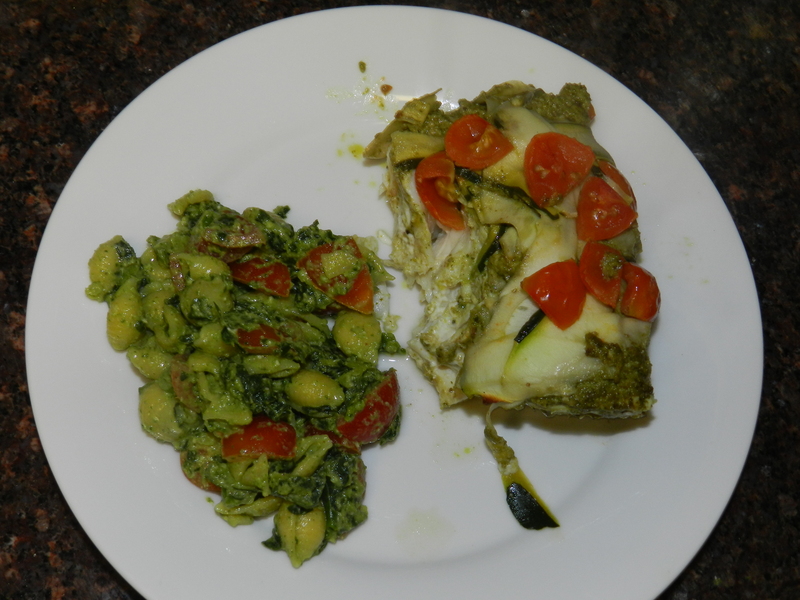 Now I know that is a lot of pesto, but this pasta dish makes for great leftovers and could be paired with any protein.